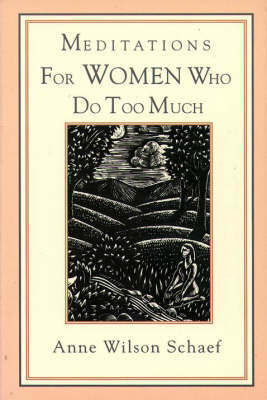 The bestselling collection of meditations for women whose lives are too busy. Now produced in a special gift edition for Mother's Day. Meditations For Women Who Do Too Much speaks directly to the hearts and minds of the millions of women who do too much of everything: work, worry, organize, and take care of everyone in their lives!except themselves. With wisdom, humour, and insight, these meditations -- paired with quotations from women of many ages, cultures, and perspectives -- help women recognize and change their patterns, slow down, and take the time to listen to their own needs.